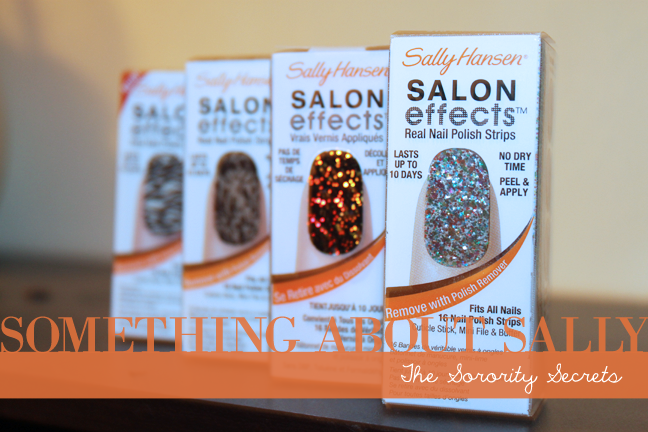 Ok, so this may be old news, but we are really obsessing over Sally Hansen products lately! We have always seen super cute designs on other girls' nails wondering how they got it on, and low and behold, Sally Hansen was behind it. Sally Hansen Salon Effects nail polish strips REALLY last and they have so many designs for you to choose from we can't handle it! They're simple to put on and simple to take off, which makes it really fun to add some personality to your nails for an event or a fun night out in a matter of minutes. 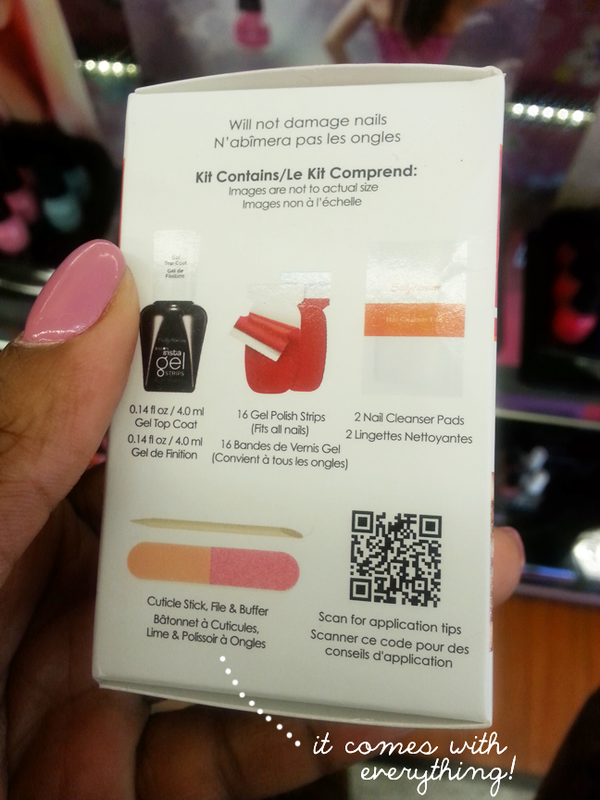 Every kit comes with multiple sizes so you're guaranteed to find one that aligns great with your nails. 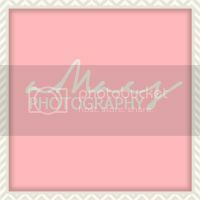 Are you into the Sally Hansen Salon Effects nail polish strips too? We want to see all of the different cool ways you wear it so hash tag #thesororitysecrets and #saloneffects on Twitter or Instagram for a chance to have it featured!